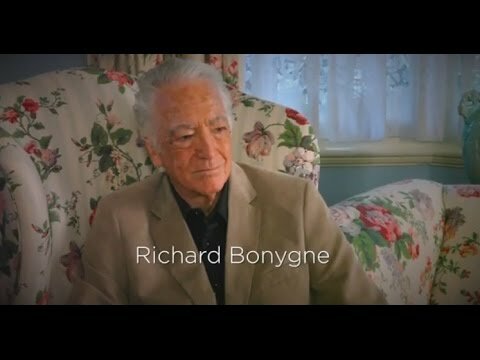 A selection of rare 19th Century British lyric opera arias by Balfe, Sullivan and Wallace from the Richard Bonynge Archive featuring the golden-voiced soprano Deborah Riedel. 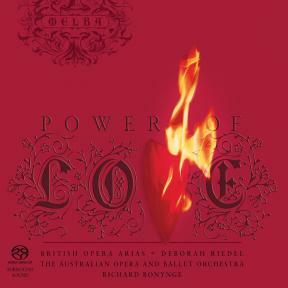 Bonynge’s accompaniments with the Australian Opera and Ballet Orchestra are lovingly executed. This is repertoire that has always been close to his heart. This little record has been in my mind for many years. During my student days in London in the 1950s, I collected many nineteenth century programmes, many piano scores and hordes of songs from popular operas with their illustrated music covers, so the operas of Balfe and Wallace have long been familiar friends. Many of these operas were exceedingly popular in the nineteenth century and were sung by very famous singers. Changing taste and new works have pushed these old war horses into the background, so that today they are little more than a curiosity. But they were once the popular music of the day. Trying to find complete orchestral scores and parts proved to be somewhat of a headache, but I am fortunate to have good friends who helped me. Most of the orchestrations are original. I thank Courtney Kenny, the Sir Arthur Sullivan Society of Great Britain, the Balfe archive and the Carl Rosa Trust for generously lending me scores and parts from their archives. Thanks also to Brian Castles-Onion for his splendid recreation of the ‘Night Winds’ from Wallace’s Lurline. The library in Brussels that houses the full score was closed for several months and the Carl Rosa parts were incomplete. I am also grateful to Richard Burgess-Ellis for reconstructing the aria from Amber Witch as well as the Waltz from Faraday’s Amasis, for both of which I found no score or parts. He provided invaluable assistance and was responsible for magically producing eminently readable scores and parts from very old and fairly illegible manuscripts. The English have always been wary of opera. Beecham’s quip that the English don’t like music, but love the noise it makes, has a grain of truth in it: it is the spoken word which they worship. Perhaps that is why English composers shied away from using sacred Shakespeare as fodder for opera, whilst their European counterparts plundered him for all he was worth. In spite of the indifference to the genre, the aristocracy ensured that London became one of the world’s most important operatic centres from the seventeenth century onwards. But it was not English opera that was supported, it was the imported Italian kind. Still, the foreigners didn’t have it all their own way. The turning point came with Gay’s Beggar’s Opera in 1728, a salvo directly aimed at Italian opera, poking fun at opera seria and mocking its conventions. It spurred on rebellion and spawned a uniquely English genre, the Ballad Opera. These operas were simple in style — a mixture of song and spoken dialogue — and, most importantly, were sung in English. By the nineteenth century, they became more operatic in character — similar to the French Opéra Comique — yet retained an individual home-spun quality. Surprisingly, this English operatic movement, though box office material, hardly brims with famous names: the first half of the nineteenth century can, more or less, be reduced to Balfe, Benedict, Bishop, Wallace and (later) Sullivan. At that, Benedict was German born, Balfe and Wallace were Irish, and Sullivan had Irish ancestry. Libretti were largely drawn from successful continental ballets and stage works, whilst the influence of Weber, Meyerbeer, Gounod and Verdi is readily apparent in the music. By incorporating fashionable European styles into their own, composers of ballad operas managed to sustain a genre which was successful for many years. But nothing is secure forever. Their style gradually became eclipsed as opera became ever more inflated during the century, though it continued in part in the works of others, notably in comic form with the operettas of Gilbert and Sullivan. Of all the composers on this disc, Michael William Balfe (1808–1870) was the most successful writer of serious operas. He was born in Dublin of musical stock (his great grandfather was reputed to have played in the orchestra at the first performance of Handel’s Messiah). Balfe soon became a capable all-round musician, giving his first concert as a violinist at the age of nine. In an operatic turn of fate, he met Count Mazzara, an Italian who, struck at the resemblance the young composer had to his deceased son, invited him to Rome to study and further his musical career. At this point it was his gifts as a baritone which were most admired — making a favourable impression, via Cherubini, or Rossini (then at the height of his powers). After many successful roles, his chance as a composer came in 1830 in Palermo when the chorus of the Teatro Carolino struck for more pay. The management, in defiance, decided to finish the season by mounting operas without chorus, and this resulted in the production of Balfe’s first opera, I Rivali di Stessi. With its success came a new vocation. Though still maintaining his singing career, he returned to London in 1833 and, two years later, produced The Siege of Rochelle at Drury Lane; it caused a sensation and established his position as a leading English composer. But it was in 1843 that he scored his biggest triumph with The Bohemian Girl. From then on, his versatile career as a theatre manager, composer and singer — in France, Germany, Russia and Austria — ensured his success, in varying degrees, and he was one of the few British opera composers to achieve international success. Fact is often stranger than fiction. If the life of William Vincent Wallace (1812–1865) were turned into an opera, it would be too unbelievably melodramatic for words. Born in Waterford, Ireland, he began his career as a violinist, playing at the Theatre Royal in Dublin, becoming a brilliant soloist whilst making a name as a composer as well. He married, left Ireland (in 1835) with his wife and her sister (with whom he had an affair), and started a new life in Australia. His life might have ended here, for, whilst visiting New Zealand, he was almost killed by native cannibals twice; the second time he was saved only through a romantic rescue by a chief’s daughter. Following these events, he was one of only three Europeans to survive a mutiny whilst on a whaling voyage in the South Seas. He eventually left Australia, deserting his wife and son, and also leaving behind considerable debt. During his extensive travels, he received high honours from princes in India (where he also shot tigers) and became famous for his Grand Mass in Mexico. In America, where he escaped death from an exploding steamboat, he lost a lot of money in tobacco and the piano business, but on the plus side gained another wife. On returning to England in 1845, he wrote his biggest success, Maritana, which proved to be his masterpiece. Although several operas followed, he only achieved success again with Lurline, but soon after his health declined — he had several heart attacks — and was ordered by his doctors to the south of Europe, where he died. Any opera plot is believable after all that. Arthur Seymour Sullivan (1842–1900) scarcely needs any introduction. His sparkling comic operas have largely remained in the repertoire ever since their premieres from the 1860s to the 1890s. Like Offenbach, Sullivan longed for success as a “serious” composer and, whilst his true genius is found in his comic operas, there is no doubting the fine moments in his serious operas, of which an example, from Ivanhoe, is recorded here. The Rose of Persia was Sullivan’s last operetta and shows his brilliance stayed with him to the end. Michael Philip Faraday is virtually forgotten today: little of his life is documented, except that for a time he ran London’s Lyric Theatre, and was one of the smartest and most expert rating surveyors in London! He composed at least one musical comedy for which he is remembered, Amasis. Wallace’s Lurline (libretto: Edward Fitzball) was written in the Grand Romantic opera tradition, its Teutonic setting reinforced by the influence of Weber and Mendelssohn and even a hint of Wagner. The story is of a Nymph of the Rhine (Lurline), who passionately loves Count Rudolf, but is thwarted by all sorts of problems. Happily, her magic harp comes to the rescue and all ends well. ‘The Naiad’s Spell’ (track 16) recounts Lurline’s love of Rodolfo in a waltz rhythm, whilst the stormy ‘The Night Winds’ (track 1) conveys her despair at the supposed betrayal of her love. Although premiered at Covent Garden in 1860, Lurline was originally commissioned by the Paris Opera in 1848, and allegedly staged as Loreley in Germany in 1854, then revised. In 1859, Wallace assigned all the rights to the work to the Pyne-Harrison company for ten shillings (which he flamboyantly presented to the stage carpenter) — and then had to endure the horror of watching the company net over £50,000! In The Talisman, Balfe modelled his writing even more on current Italian trends and produced a work very much in Verdi’s middle period style. Balfe took enormous trouble over this, his final opera, which is based on Sir Walter Scott’s work of the same name. Alas, it was left unfinished on his death in 1870, but performed in an Italian translation as Il Talismano at Drury Lane in 1874 (tracks 2&5). It is not surprising that Wallace’s Maritana (libretto: Edward Fitzball) was so successful. Its plot — concerning the eponymous heroine and Don Caesar de Bazin, set against the backdrop of the intrigues of the Spanish Court — provides plenty of melodrama, whilst the score brims with vitality and memorable tunes. Together with The Bohemian Girl and The Lily of Killarney (Benedict), it forms what is rather wickedly known as the “English Ring”. ‘Tis The Harp In The Air’ (track 3), a charmingly delicate aria sung by Maritana, is said to have been inspired by the composer’s first wife’s harp-playing during a lesson in 1830 at the Convent of Thurles. The opera’s most famous tune is ‘Scenes That Are Brightest’ (track 8): the words were by Alfred Bunn, who aspired during his management of London’s Drury Lane Theatre (1835–47) to make a permanent home for English opera, and Maritana was premiered there in 1845. It is a wonderfully sentimental piece which holds its place in the repertoire today. The Siege of Rochelle (libretto: Edward Fitzball) was Balfe’s first English opera. Its youthful, extravagant and exhilarating music ensured its success at Drury Lane in 1835, whilst the story of Clara, who has been brought up by the villainous Montalban, is effective. The rather gory aria ‘ Twas In That Garden Beautiful’ (track 4) shows the influence of Donizetti with its rich brass introduction, though it is the haunting beauty which lingers in the mind. Ivanhoe (libretto: Julian Sturgis) was Sullivan’s attempt at an English grand opera, and was premiered at the Royal English Opera House in 1891. The swashbuckling Ivanhoe tale, based on a novel by Sir Walter Scott, was a good subject, but the libretto doesn’t make the best use of the story. The aria ‘Lord of our Chosen Race’ (track 6) is sung by Rebecca — one of the two heroines in love with Ivanhoe, who has been abducted and imprisoned — and is a prayer for her rescue. No-one dared to write librettos for Sullivan in the Gilbertian style except Basil Hood — which he did for The Rose of Persia, Sullivan’s last operetta, premiered at the Savoy Theatre, London, in 1899. This story of Hassan, a philanthropist who relieves the boredom of having twenty-five wives by organising a nightly entertainment of beggars at his house, was well received and the operetta still gets an occasional revival. ‘Neath My Lattice’ (track 7) is sung by Rose-in-Bloom, a royal slave who has escaped the harem to discover the excitement of the outside world; in her aria, she longs for the security of the royal palace. Faraday’s musical comedy Amasis (libretto: Frederick Fenn), now almost forgotten, was premiered at London’s New Theatre in 1906. Its Egyptian setting was unusual for a work of this type, but its excellent cast (including Rutland Barrington, famous for creating several Gilbert and Sullivan roles) and charming music ensured its success. ‘Little Princess, Look Up!’ (track 9) is the most famous number and Ruth Vincent, a member of the original cast, recorded it in 1907. The Rose of Castille (libretto: Augustus Harris and Edmund Falconer) was the first in a series of operas produced for the newly formed Pyne-Harrison Opera Company at the Lyceum Theatre, London, and was premiered there in 1857. Louisa Pyne, of course, took the lead role in this opera which follows Italian models in rhythm and in form, whilst not abandoning the ballads — they were, after all, Balfe’s bread and butter. It is a complicated story of the Spanish aristocrat Don Pedro and his machinations to seize power from the beautiful young Queen of Leon, Elvira. In ‘The Convent Cell’ (track 10), we find the heroine in reflective mode in one of the few moments of tranquility in the opera. Balfe composed Satanella or The Power of Love (libretto: Augustus Harris and Edmund Falconer), which was premiered in 1858 at Covent Garden, with the soprano Louisa Pyne in mind. Pyne was better than many he had used in the past, and he was able to write more demanding virtuosic music for her. The gothic tale of Satanella, who is ordered by the devil to help Count Rupert recover the fortune he lost in gambling — at the cost of his soul — inspired a strong score with an underlying theme of the redemptive power of love. ‘There’s A Power Whose Sway’ (track 11) is about the power of love — and who can argue with that? In ‘Oh! Could I But His Heart Enslave’ (track 14), Satanella sings of her despair, realising that the Count loves another, with the music bearing a strong resemblance to Verdi’s early style. The Maid of Artois (based on the story of Manon Lescaut, libretto by Alfred Bunn) was written for the celebrated Maria Malibran and first performed in 1836 at Drury Lane. The director of the theatre, Alfred Bunn, was furious with Malibran for not attending rehearsals, but decided to make amends during the actual performance. Pleading that she was tired, Malibran requested some porter [a style of beer or ale], which was hidden on the stage for her to drink in the great final desert scene. It so revived her that she not only gave a magnificent performance, but had the strength to repeat the entire finale — much to the delight of the enthralled audience. It was arranged that she should always be given a supply of porter during the subsequent run of the opera. ‘The Rapture Dwelling In My Heart’ (track 12) is a brilliant coloratura waltz song, very much in the style of Gounod, whilst ‘Yon Moon O’er The Mountain’ (track 13) is a sentimental ballad of the kind for which Balfe was famous. The Puritan’s Daughter (libretto: John V. Bridgeman), premiered at Covent Garden in 1861, may lack the freshness of Balfe’s earlier work, and the libretto doesn’t help either. But the simple charm for which he was famous is still apparent. In ‘Bliss For Ever Past’ (track 15), simple words are given meaning through the melody and effective orchestration. Many regard The Amber Witch (libretto: H.F Chorley) as Wallace’s finest work (track 18). His musical structure and characterisation are at his best, with noticeable subtlety and refinement in the score, whilst the subject, dealing with identifiable characters, is strong. It was premiered at Her Majesty’s Theatre, London, in 1861. Perhaps after listening to this recording, you may feel that the English could not have possibly hated opera so much after all.